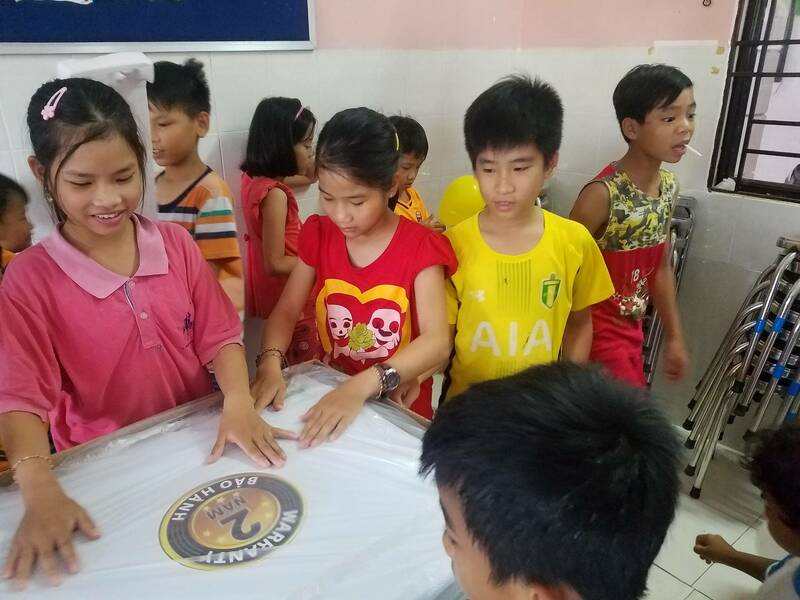 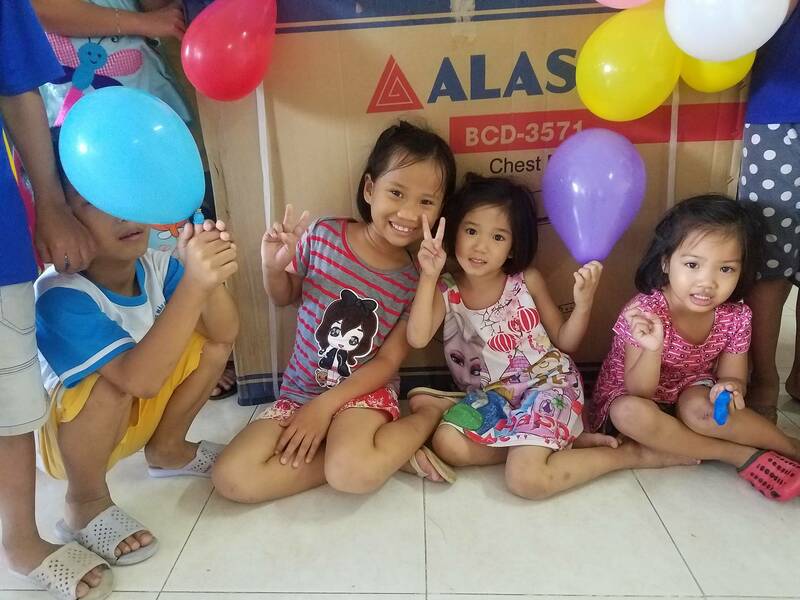 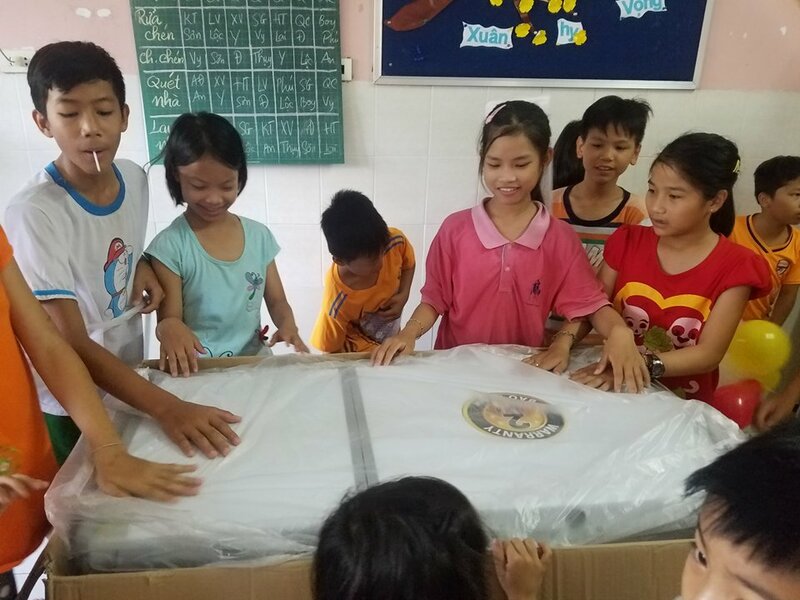 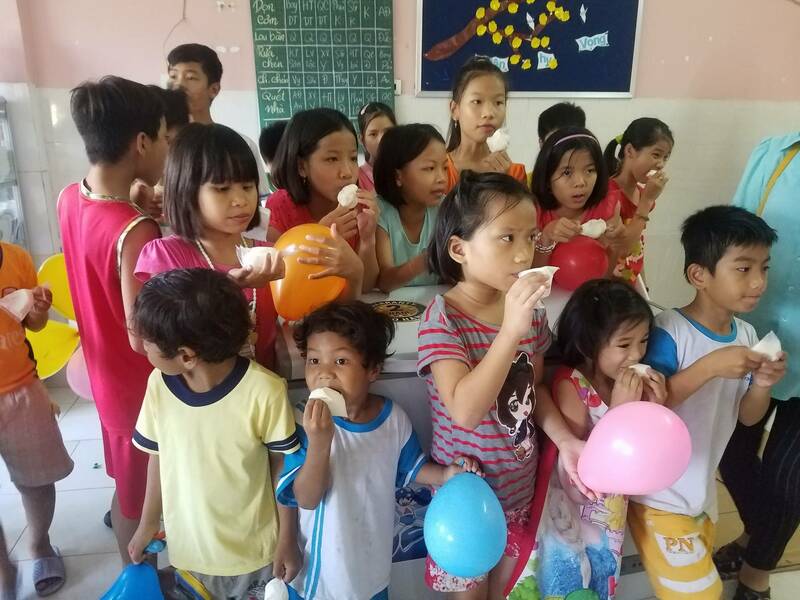 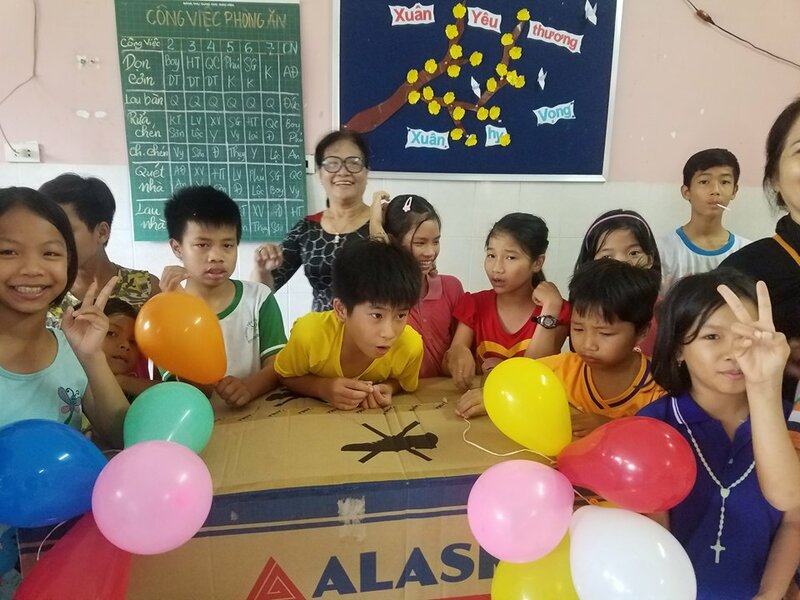 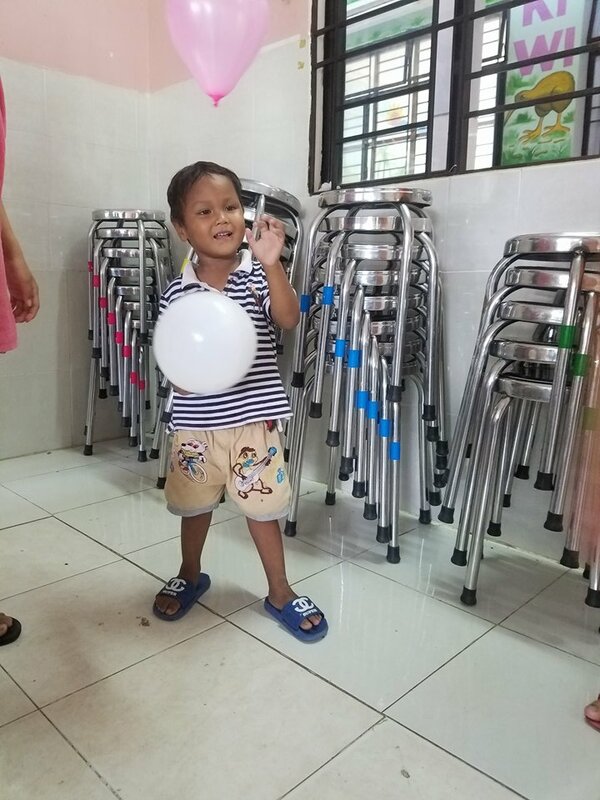 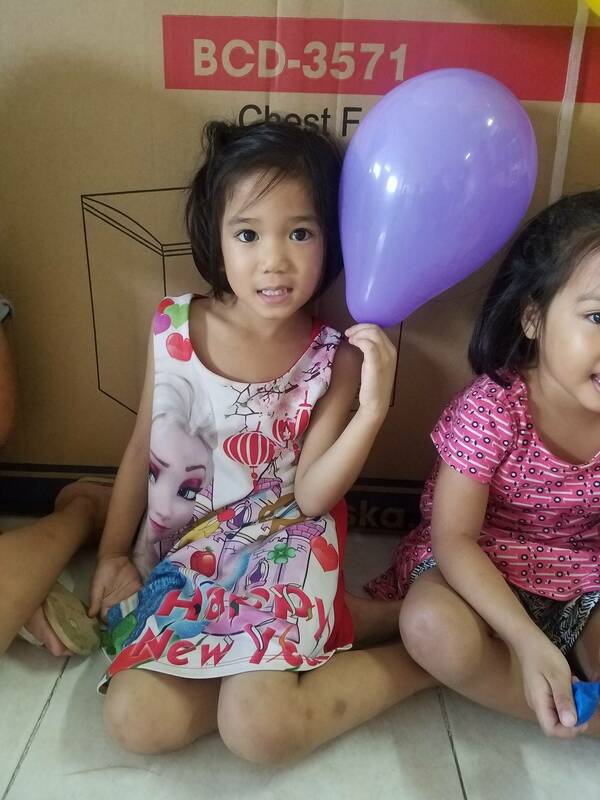 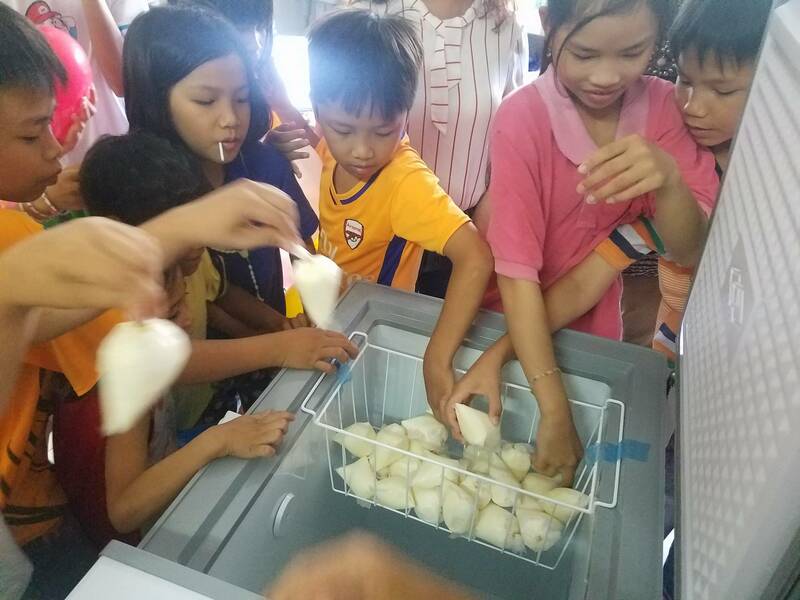 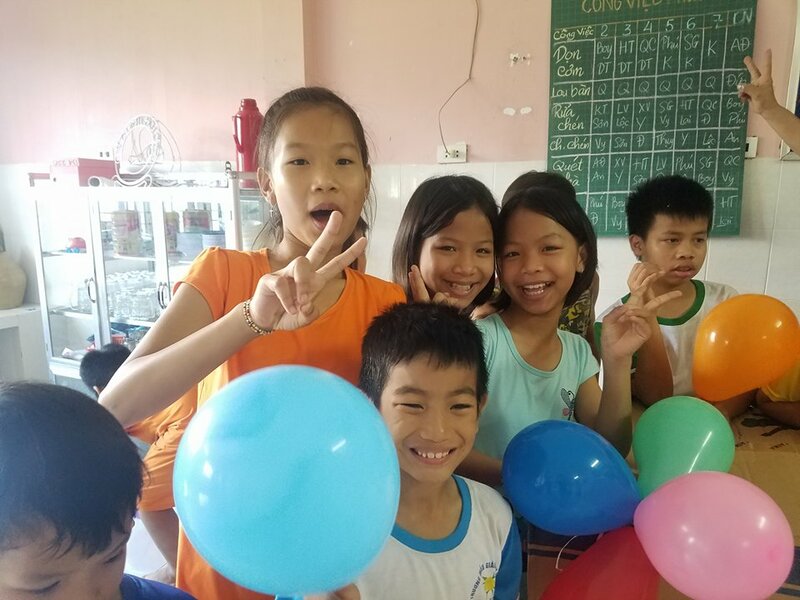 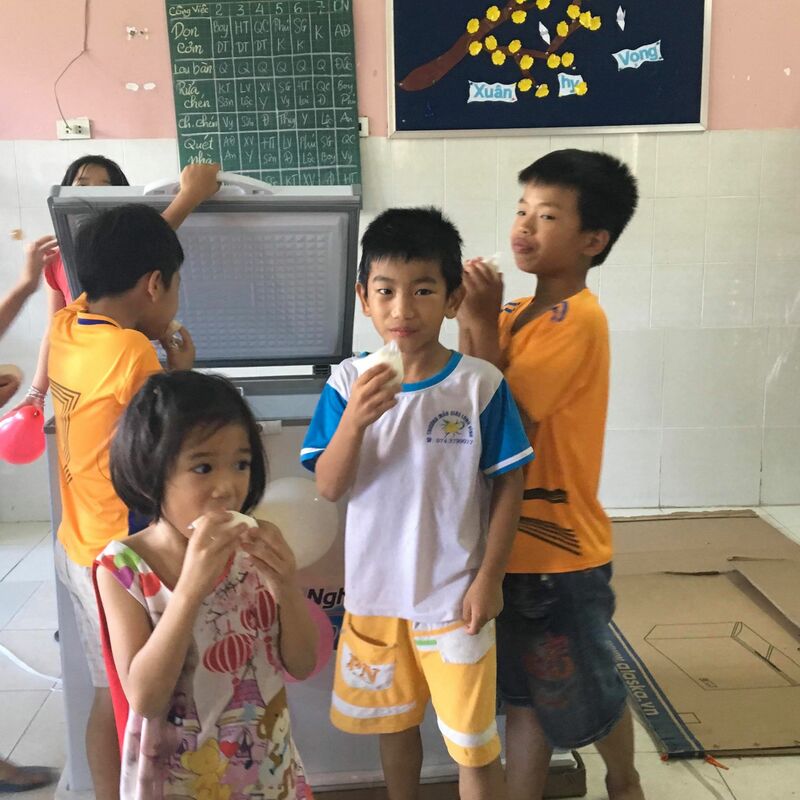 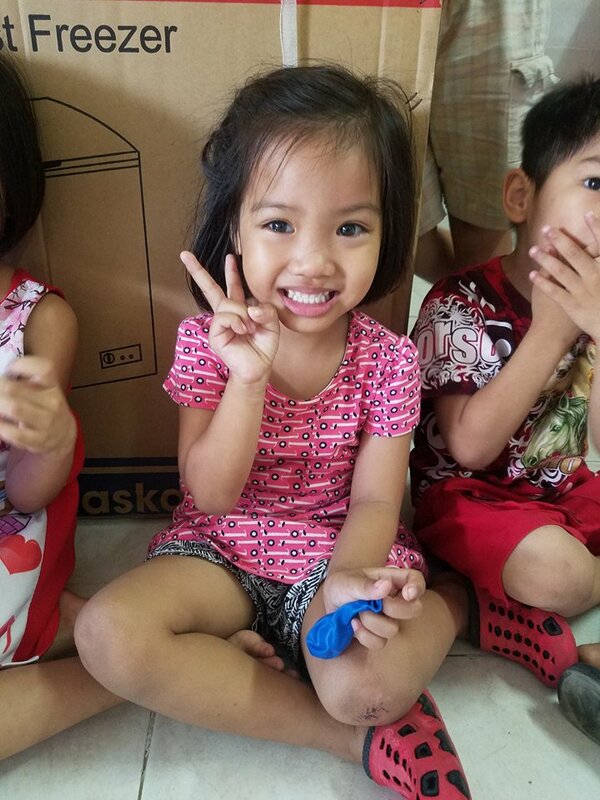 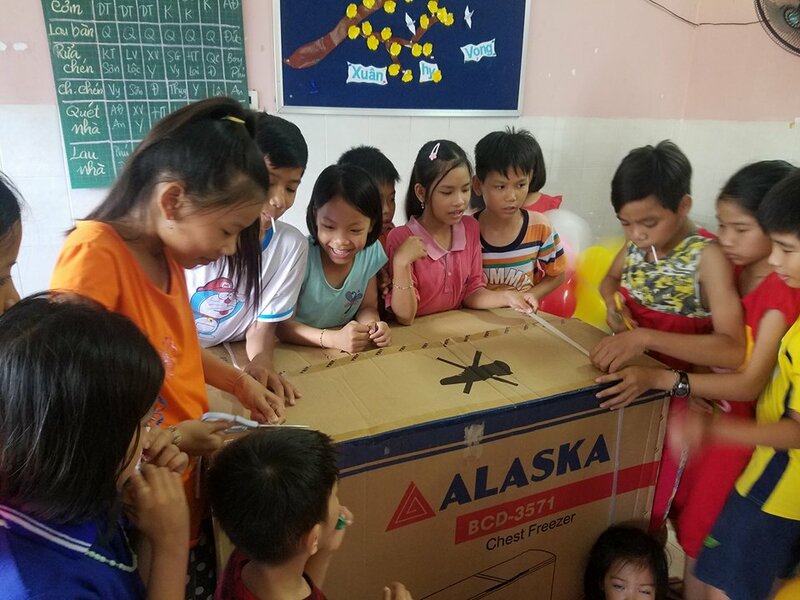 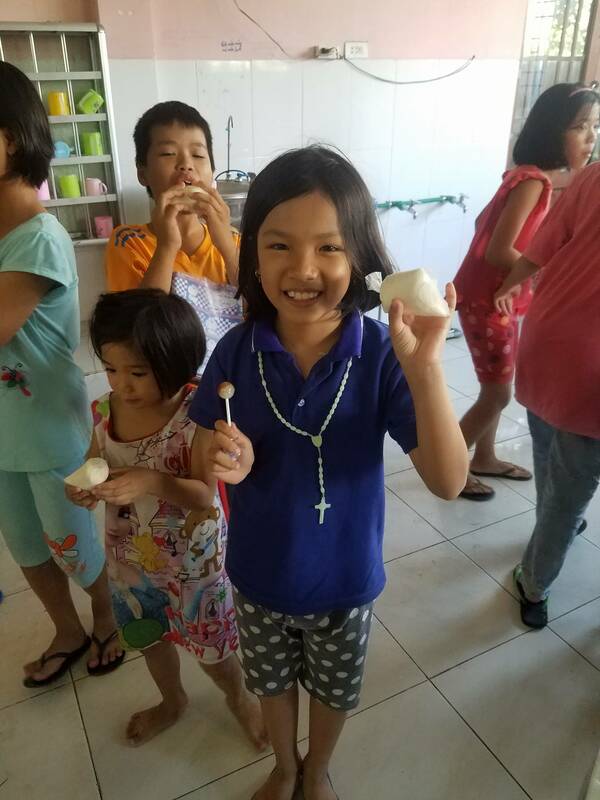 On April 15, 2018 we brought a new freezer to the Dai An Orphanage, then had a fun party with the children. 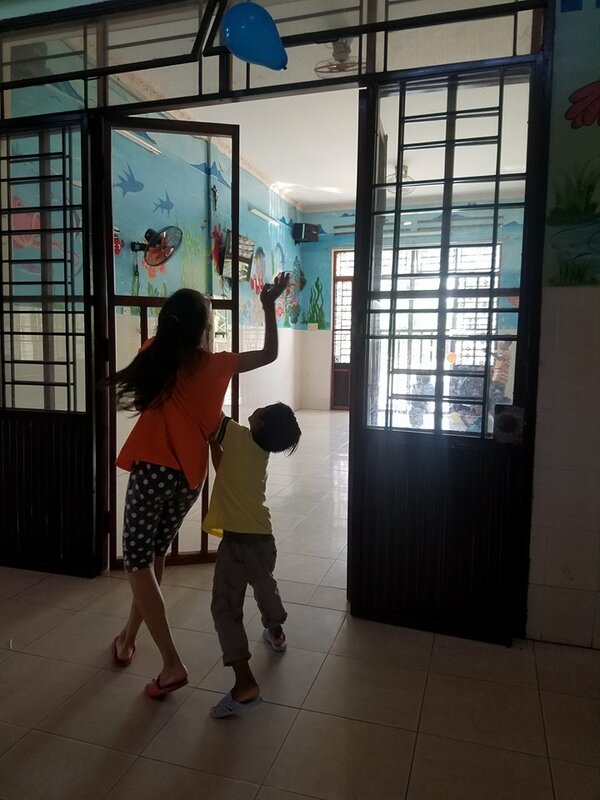 Dai An is a loving home to a group of young orphans, located to the south of Nha Trang. 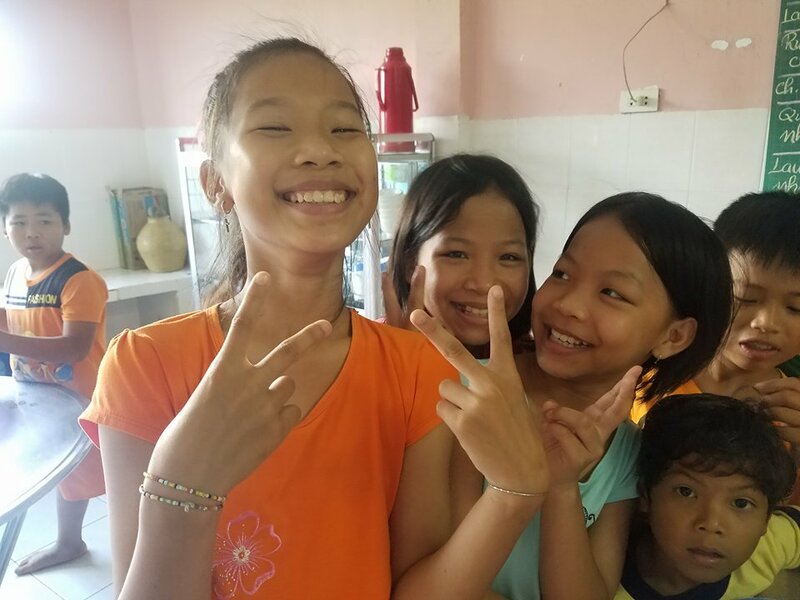 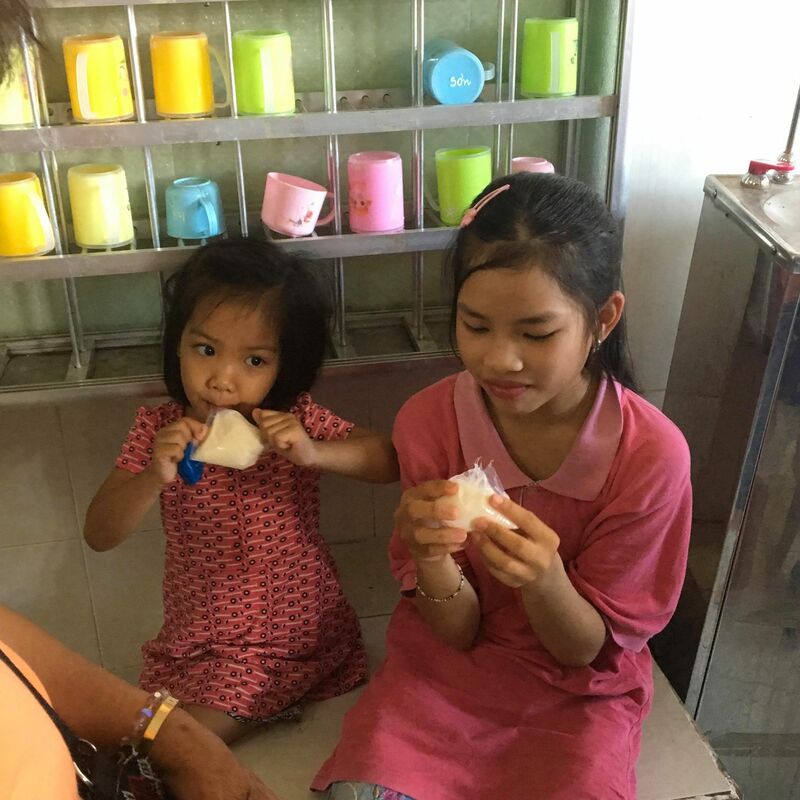 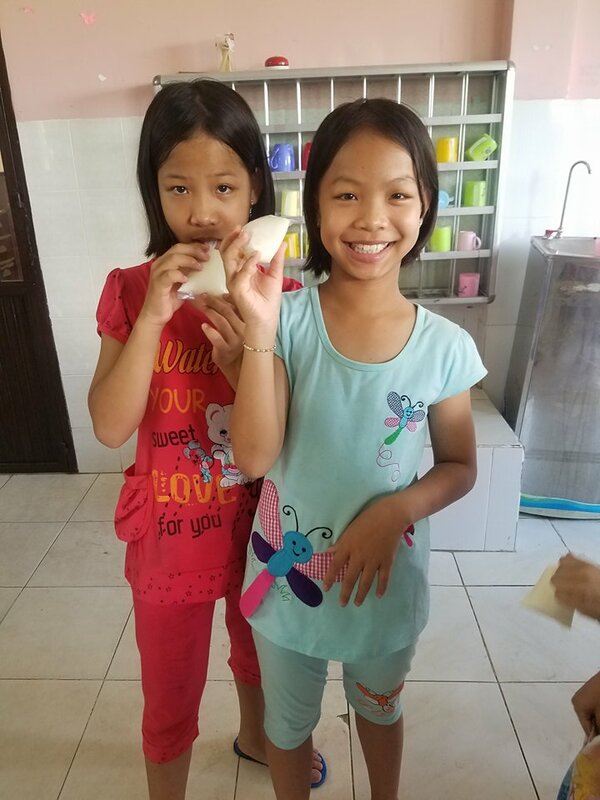 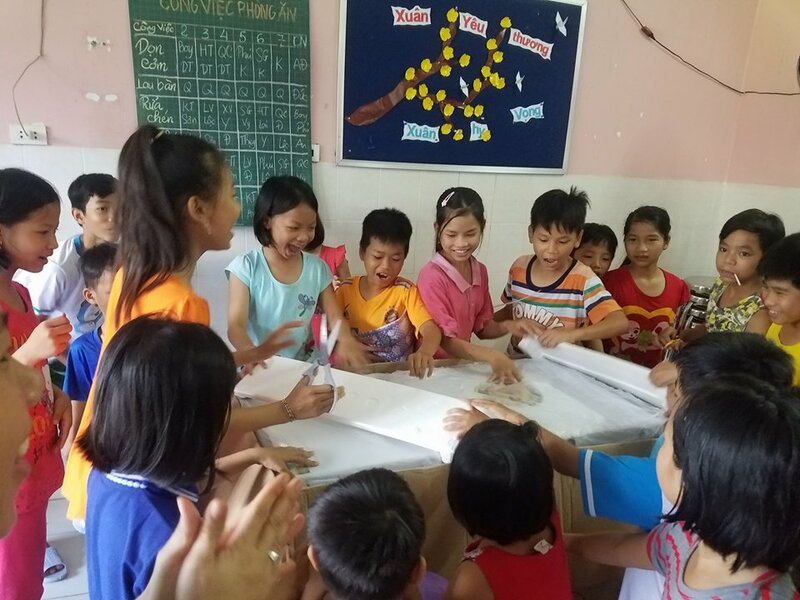 Dai An is the sister orphanage to Sunflower, which cares for teenage orphans in Nha Trang. 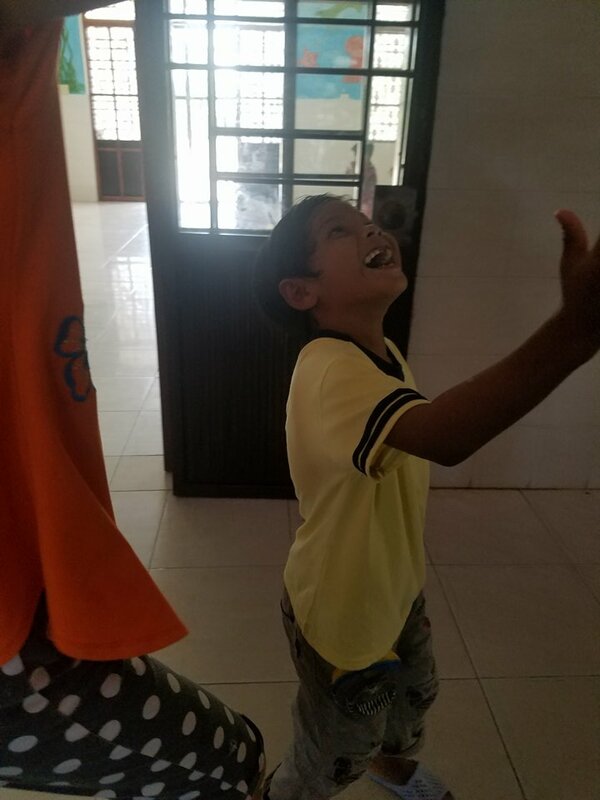 We contacted the caregivers about any projects they wished to begin, and they said the orphanage needed a new freezer. 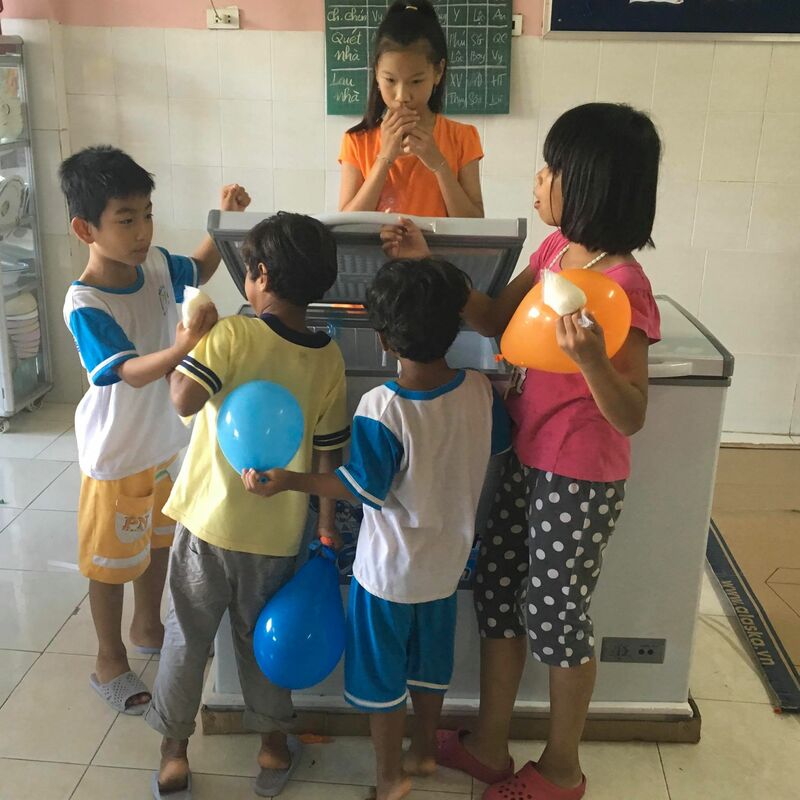 We had the freezer delivered, and the children were more than eager to help unpack it. 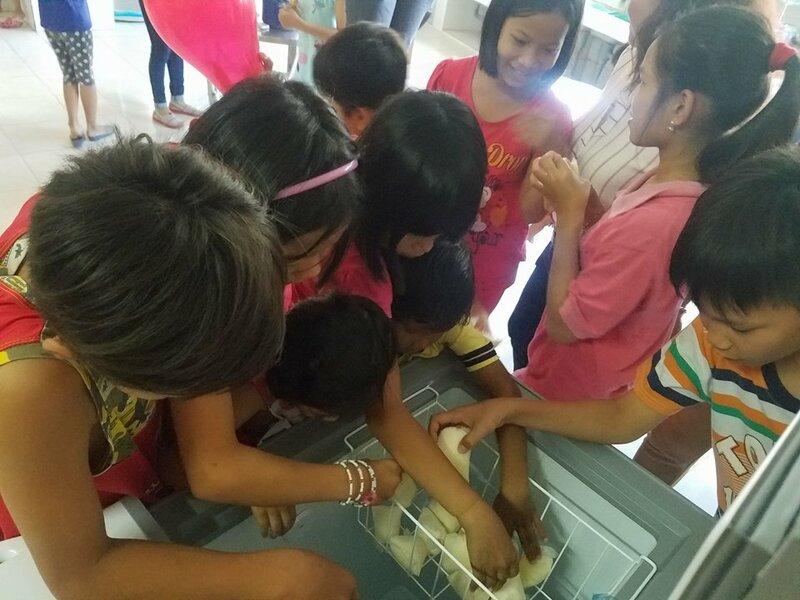 As with anything new at the orphanage, all the children were excited and gathered around their new freezer. 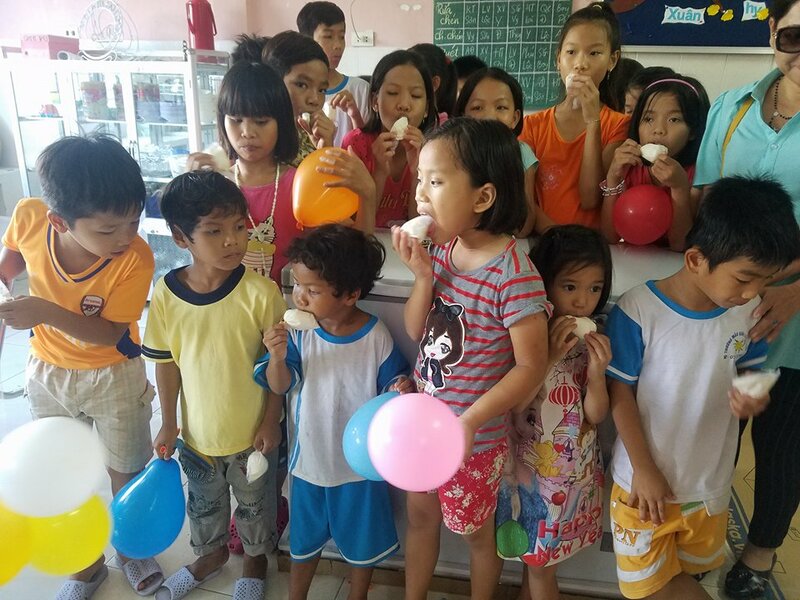 Once it was plugged in, we put homemade ice cream in bags in the freezer for the children’s first treat. 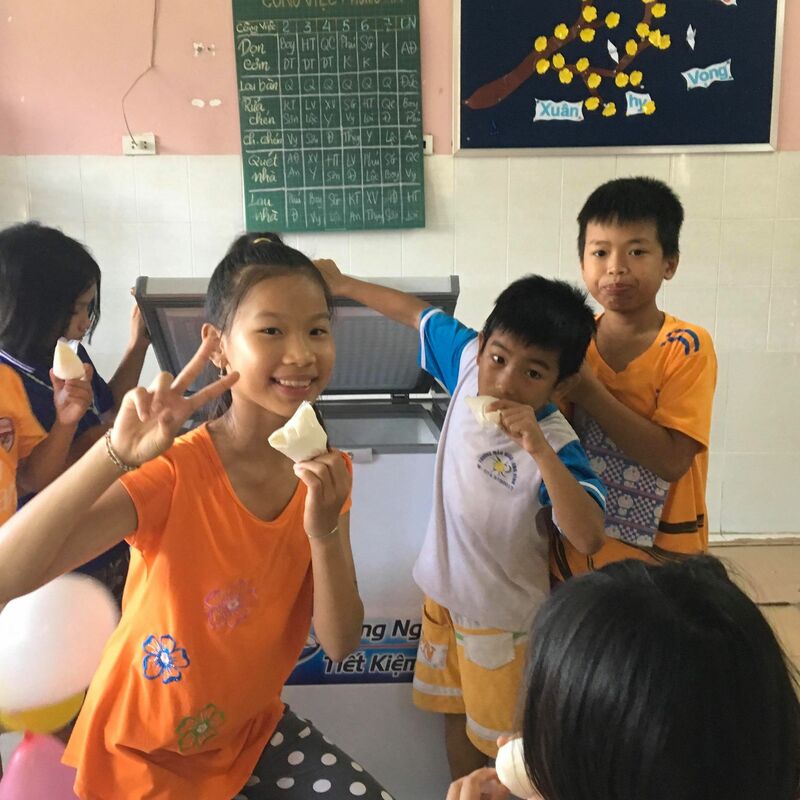 It didn’t take long to freeze, and the children crowded around to get their yummy new frozen snacks. 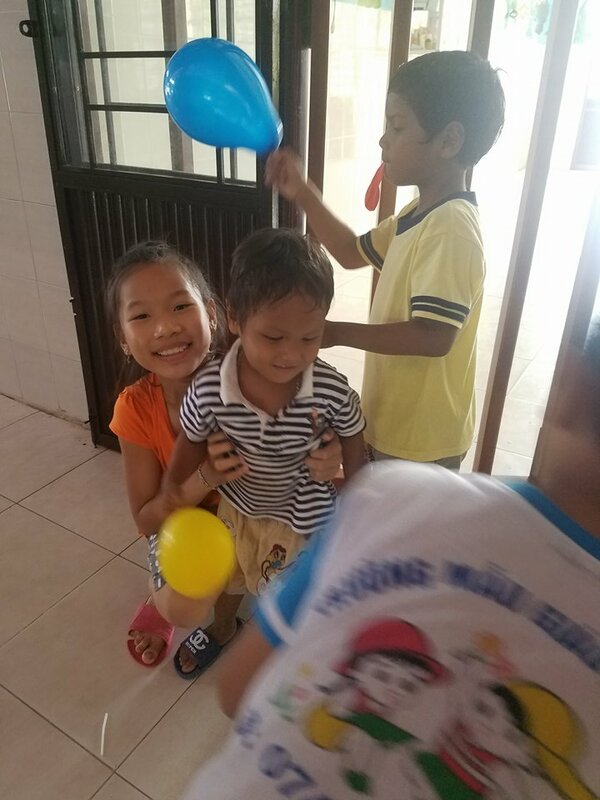 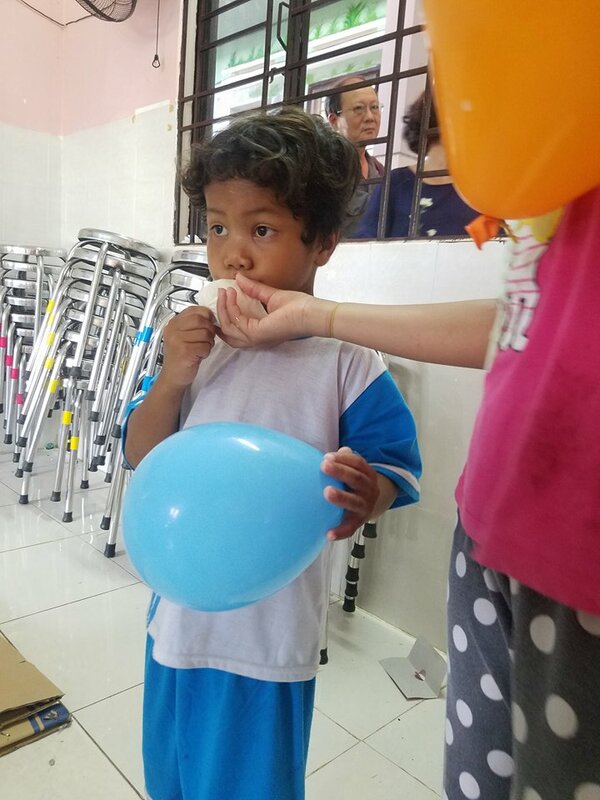 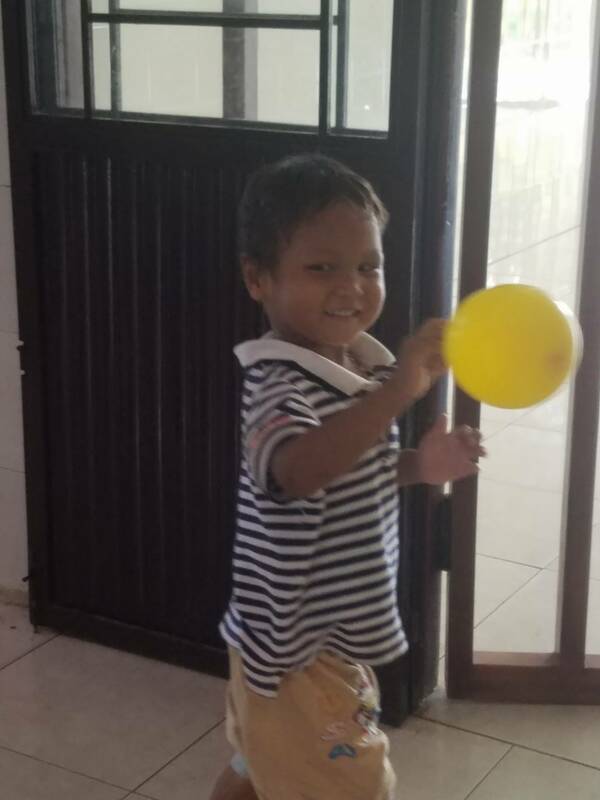 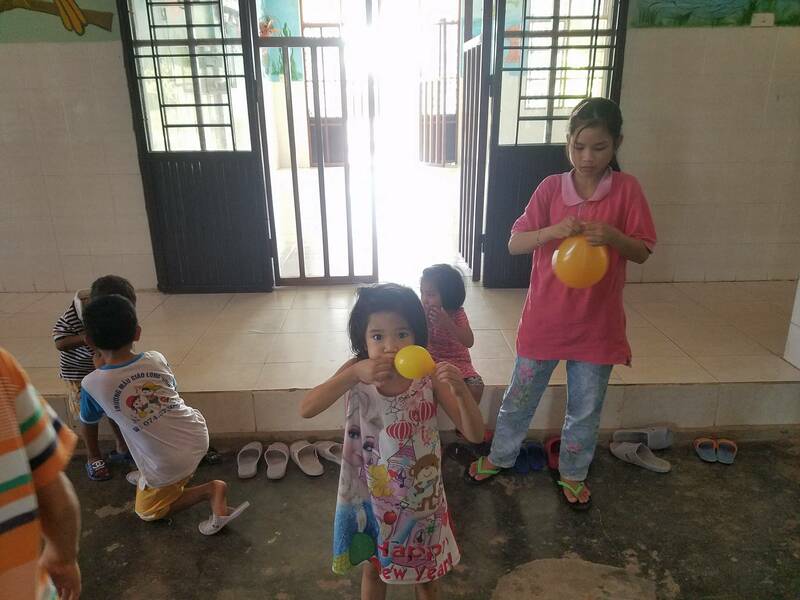 We also handed out balloons, and before we knew it there was a party at the orphanage. 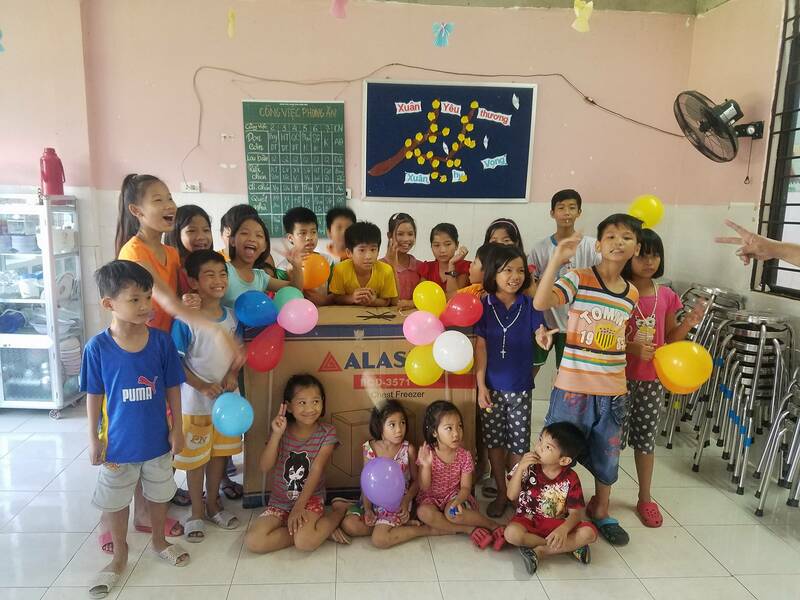 This gift to the children was made by Sharon Kelly and Stephen Milne.